The car tariffs are starting to hit consumers, FCA’s new CEO has some very large shoes to fill and the trucking industry’s attempts at attracting new drivers await your rapt attention on The Morning Shift for Monday, July 30, 2018. You know how it was only a matter of time before the cost of the car tariffs would get pushed onto the consumers? Well, that time is now. 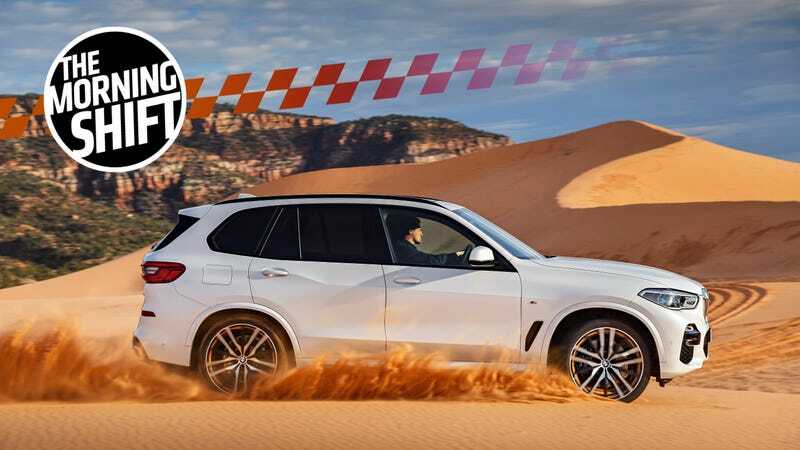 Over the weekend, BMW told Reuters that, starting today, it’s going to raise the retail prices of the X5 and X6 SUVs by four to seven percent in China. This is because of the extra costs of tariffs on American-made car imports into the Chinese market. BMW’s move comes after China imposed new tariffs earlier this month on about $34 billion of U.S. imports, from soybeans and cars to lobsters, as part of a widening trade row. China is currently the world’s biggest car market. Getting the Chinese to buy your cars is extremely important. Automakers wouldn’t want to miss out on that, right? 2nd Gear: Will ‘the Kids’ be Alright? News of Sergio Marchionne’s death last week has left speculation regarding the future of the company flying around the industry left and right. Mainly, it’s a lot about how the new CEO, Mike Manley, will run things after his legendary predecessor. While he was transforming Fiat S.p.A and Chrysler Group into FCA, Marchionne apparently had an internal group of execs he called “the kids,” who he “consistently promoted from within and empowered,” reports Automotive News Europe. It made people like Manley extremely loyal, but it also remains to be seen if that loyalty was to FCA or Marchionne himself. But executives’ loyalty wasn’t necessarily to the company as much as it was to Marchionne — a problem that already has started to play out, with Alfredo Altavilla, the head of FCA’s Europe, Middle East and Africa region, quitting after Manley’s appointment as CEO. Altavilla had been a candidate to succeed Marchionne. Manley said Altavilla’s resignation was “unfortunate, but it was not unforeseen.” He credited the Italian and longtime Fiat executive for returning the region to profitability, while saying he was confident Altavilla’s unnamed replacement would be able to push profit margins higher. “I don’t see his departure at all impacting our strategy,” Manley said. Without Marchionne, it remains to be seen whether more departures are on the horizon. Manley really has his work cut out for him. He’s inheriting a culture that adored and revered Marchionne. Because his death was so sudden and unexpected, there probably won’t be a smooth transition. Automotive News thinks Manley is going to have some challenges ahead of him as he tries both nuture other aspects of the company and complete the five-year plan. If he can pull that off, then he’ll have a chance to be seen as successful. Whether you like it or not, much of America’s goods depend on trucks to reach their destinations. Your booming economy doesn’t mean squat if you don’t have enough truckers to distribute your products. That’s exactly what’s happening in the U.S.: There’s a record shortage of truck drivers due to high turnover rates and lagging wages, which is causing delays in deliveries and price increases, according to the New York Times. The industry needs about 50,000 more drivers in order to meet demand. Autonomous trucks are too far away in the future; something needs to be done now. The Trump administration is attempting to cut down on federal laws, some of them safety regulations, that say that big rigs need speed-limiting software and that drivers have to be checked for sleep apnea. Furthermore, it’s supporting a pilot program that will let younger drivers (under 21) with military training drive commercial vehicles across state lines, which is currently illegal. But what’s really nice is that a lot of trucking companies are adding perks to their contracts in an attempt to attract more drivers, perks like signing bonuses and higher wages. And they are also actively looking for underrepresented candidates. Facing record driver shortages, trucking companies “are making the adjustments because they have to,” said Kevin Reid, the founder of the National Minority Trucking Association. It seems that trucking companies need to reach young people, women and minorities if they are going to make it in this changing economy. As we’ve reported time and time again, part of what is keeping hydrogen fuel cell cars from really catching on are the high costs of the technology and the lack of infrastructure. Toyota is really aiming to tackle the first half of that problem. Currently, Toyota is one of the only automakers that offers a hydrogen fuel cell car, the Mirai. In the upcoming years, it wants to popularize fuel cell cars by lowering their costs, according to Reuters. There’s also talk of bettering performance in terms of driving range. Toyota believes that FCV demand will increase as more countries realize that EV batteries materials become harder and harder to come by. If FCVs become cheaper and more popular, then perhaps the hydrogen fueling infrastructure will grow as well. Hydrogen is the most common element in the universe. It’s time we took advantage of it. In preparation for an era where there will be “fleets of autonomous cars,” Daimler has decided to split into three divisions beneath the Daimler AG umbrella. As part of the reorganization it has struck an agreement with labor representatives that includes a pledge to secure jobs and invest in German sites, it said. This move should help Daimler cars, trucks and mobility stuff have more control over growing and expanding in the coming years. As long as nobody touches my AMGs, Daimler can do whatever the hell it wants. Neutral: How Would You Improve the Trucking Industry? What are some steps you would take to attract more drivers?